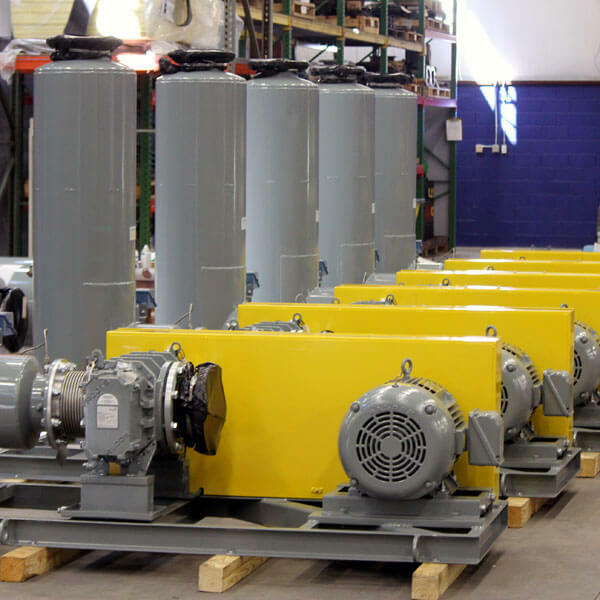 Soil Remediation Systems - pdblowers, Inc.
For over two decades—almost three—we’ve built and serviced custom applications for soil remediation equipment. Today, we’re proud to bring a strong knowledge background and problem-solving ability to this practice area. We currently build new systems and retrofit existing ones. 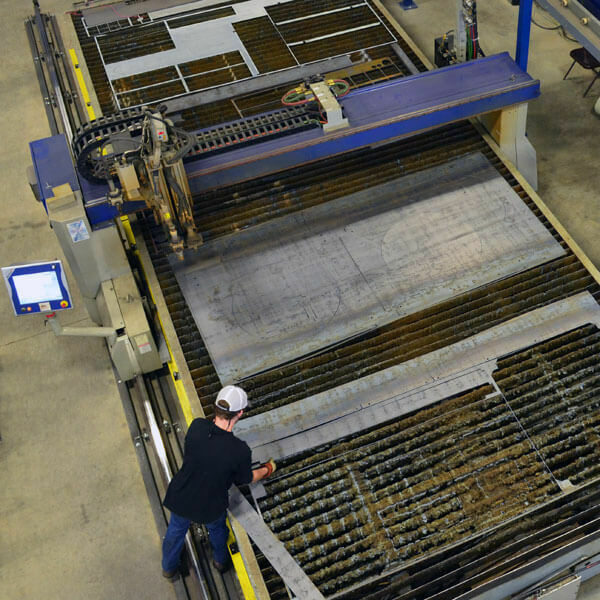 Each project begins by addressing the essential criteria for the job, including operating environment, power supply, discharge requirements—and all other client considerations. We build the systems our environmental clients need to get the job done. As consultants to consultants, our team optimizes each process for high performance and longevity. Air / water separators, for example, are potential components in soil remediation systems. We build our own separators, each one constructed to support a given system. Essential features like larger reservoirs and stainless steel components make these separators ideal for soil remediation. 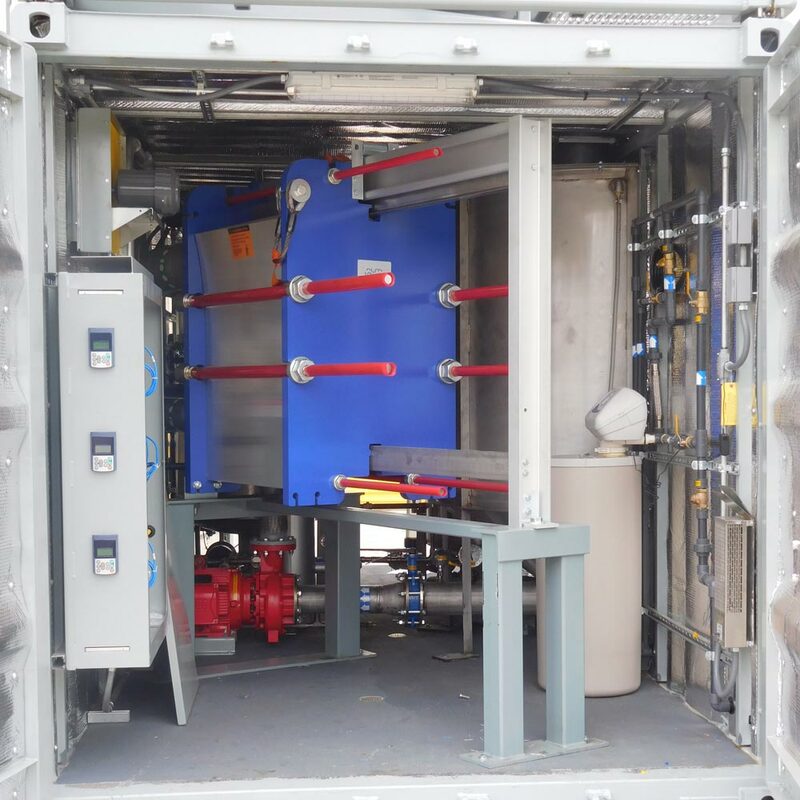 Other components, from thermal oxidizers to the system container, are chosen and adapted based on the project criteria you specify. 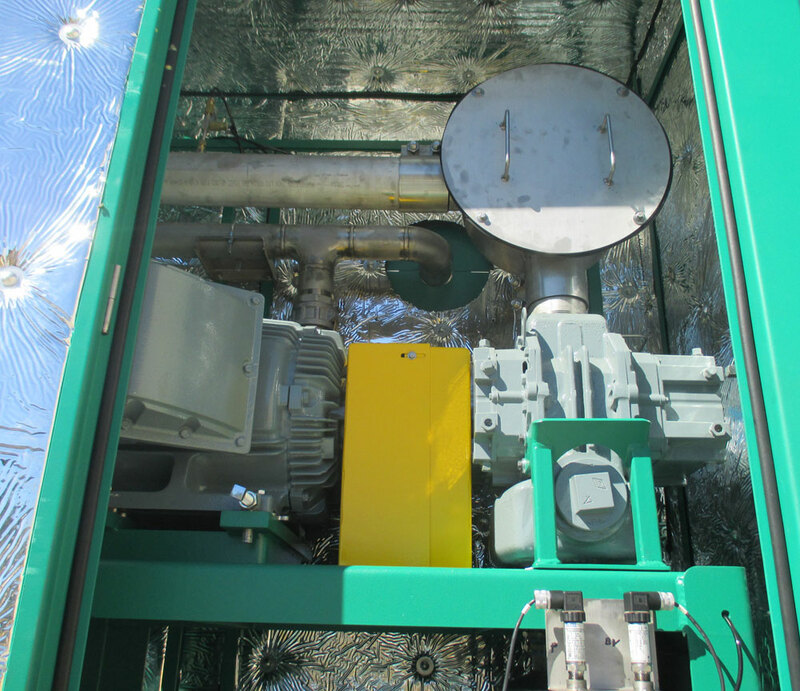 Integrated soil remediation systems include a master control system directing the remediation process—from thermal oxidizer, to pump and treat, to SVE. Systems are designed for mobile use or fixed installation. They can be trailer-mounted, skid-mounted, or assembled as an open installation. 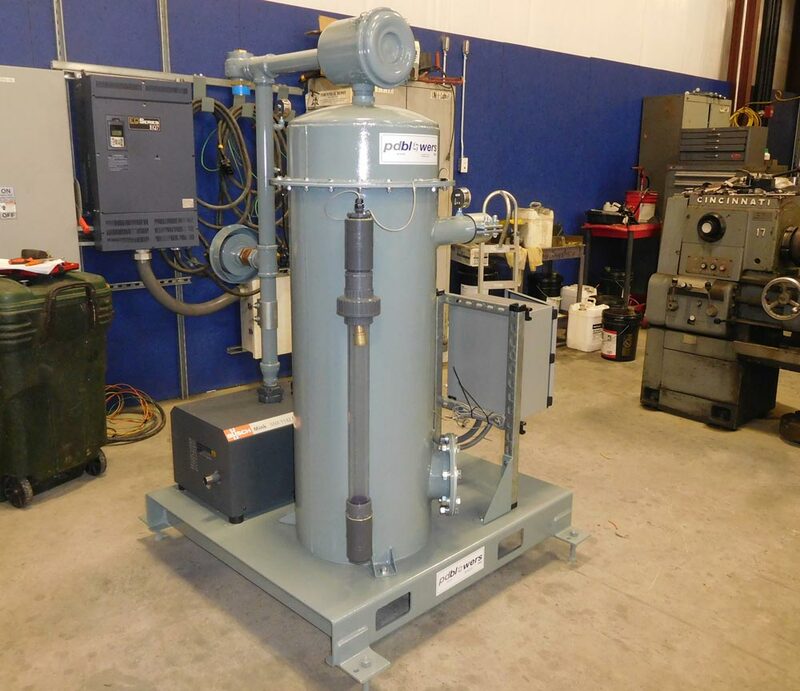 In 2006, we built our first soil vapor extraction system for Brown Remediation, Inc., a company specializing in mobile ground water remediation. 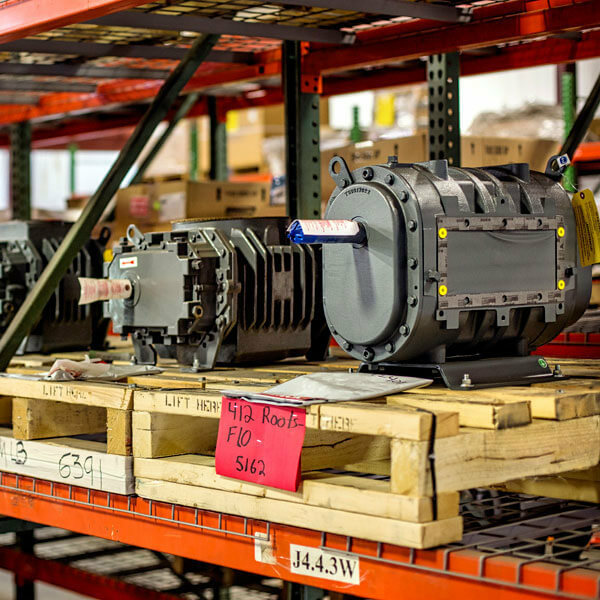 We went on to build several more systems in subsequent years with newer technology and continue to service all of these systems, upgrading and retrofitting as needed. Dual phase extraction systems may use a special kind of vacuum pump to reach higher vacuum levels—a DVJ. These are often used at gas stations in situations where gas tanks have leaked, either trailer or skid-mounted. 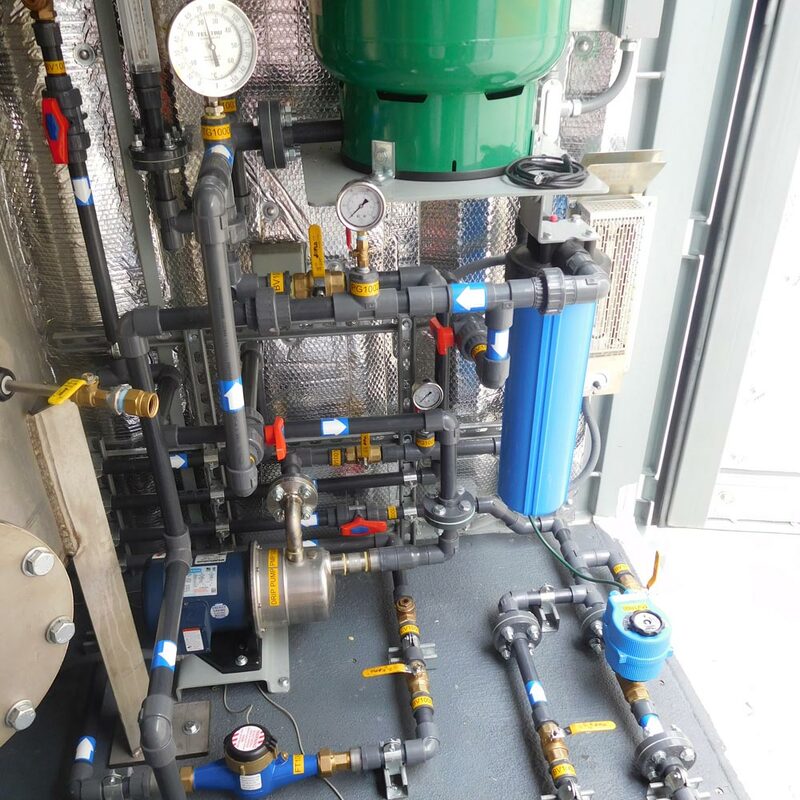 We configure the system with all piping and electrical work. 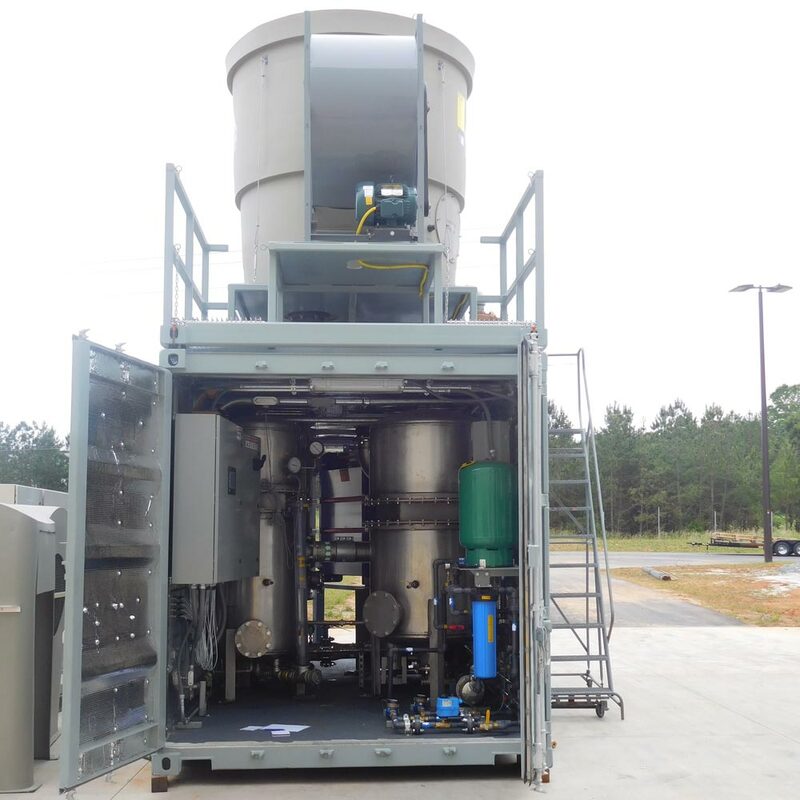 This air sparging system was engineered for an environmental management company. We used an air compressor for its bio-sparge process and an input manifold to direct water. The first stage of treatment used an air stripper, after which water was pumped out and recirculated. 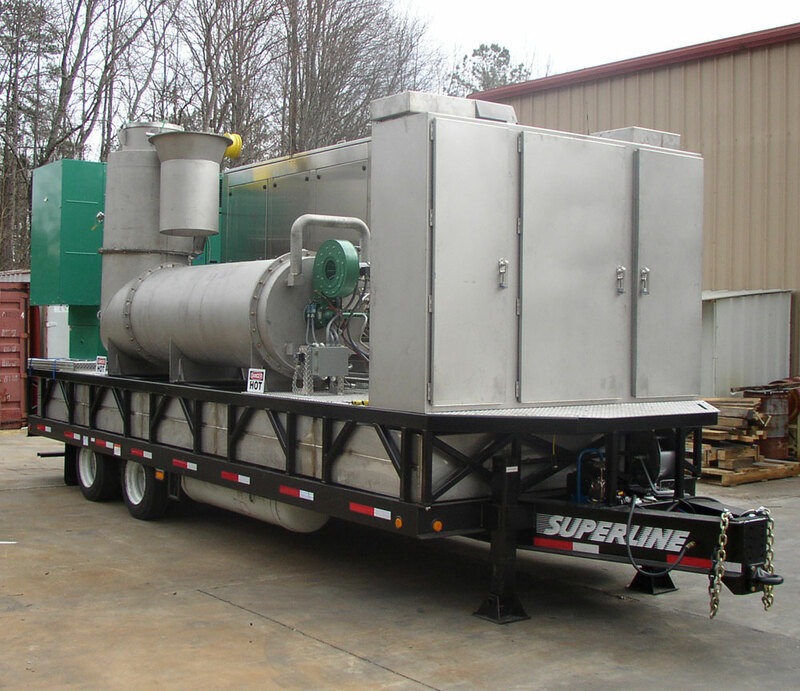 An air sparge unit built for a national environmental remediation company used a claw type mechanism. In this type of system, flow rate is generally lower, while pressure and vacuum levels can be higher. 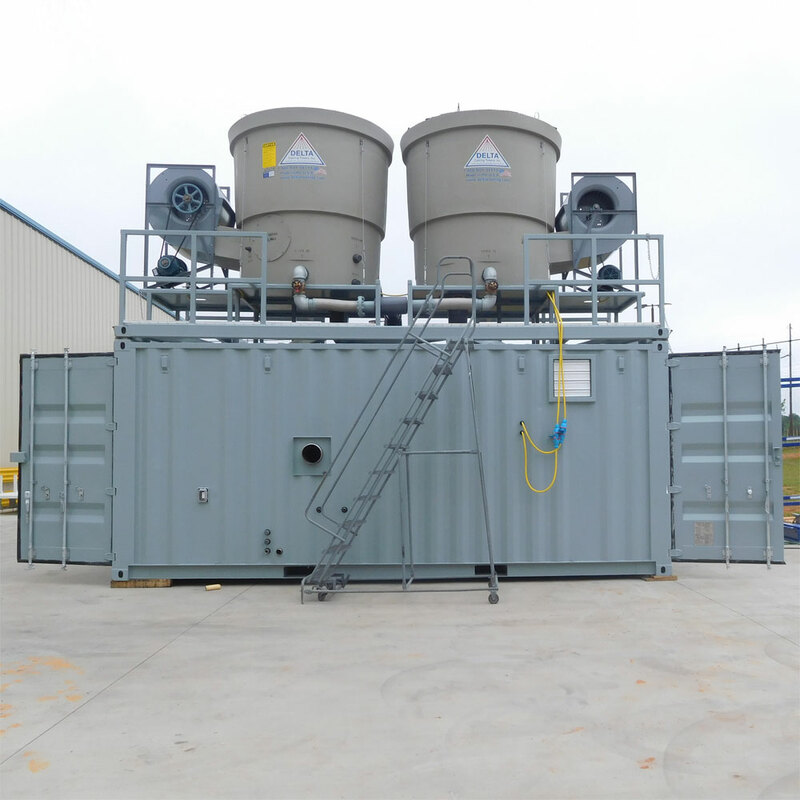 For one of our customers, we integrated their soil vapor extraction technology into a remediation system and enclosed it with a 20-foot container. This customer specializes in removing chlorinated solvents, managing big spills and urgent needs—when ground must be remediated before construction. Their proprietary technology involves electrodes for vaporizing groundwater into steam. This integrated system accomplishes cleanup much faster than traditional pump and treat technology, working onsite for results in 6 months, rather than 10 years. 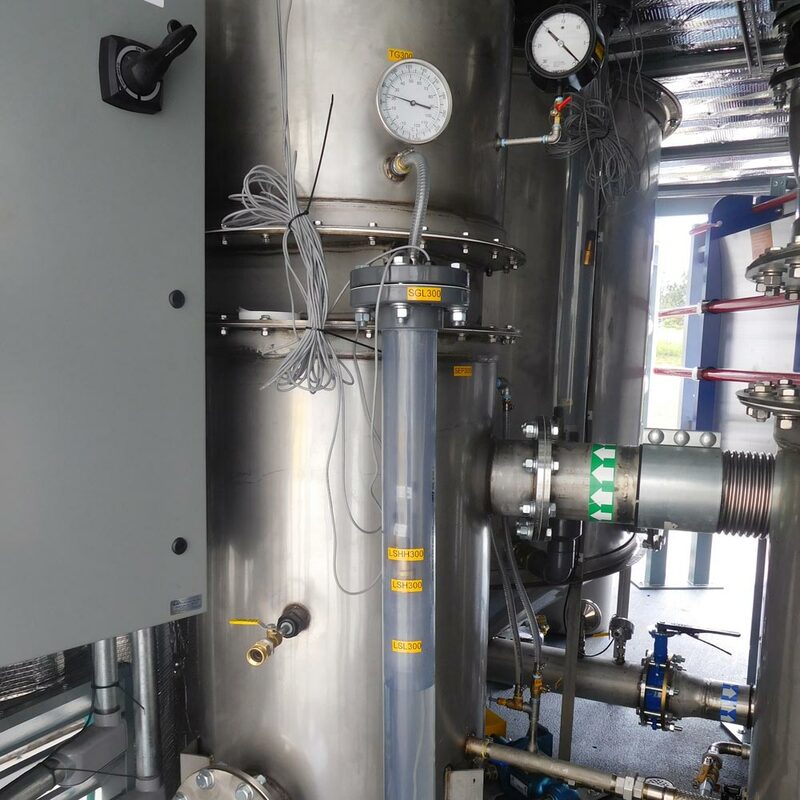 We provide vacuum systems and the system integration of their condenser system for condensing the steam back to liquid for treatment. 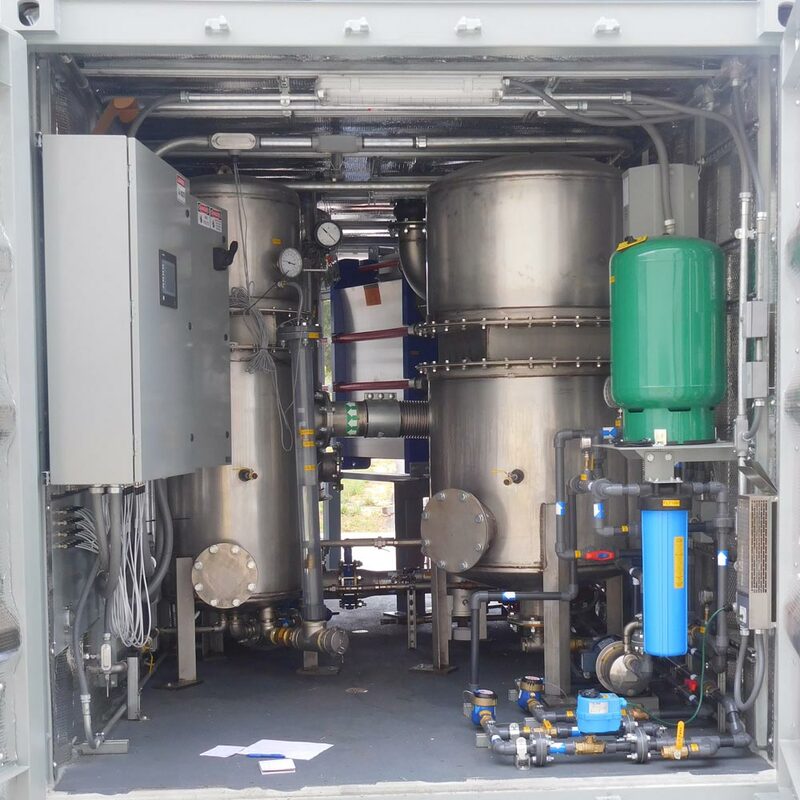 These components include first and second stage separators; a heat exchanger for condensing the air/steam mixture, which work with a cooling tower set up onsite. A control panel interface, including HMI and remote control, allows operators to easily manage the system. Our end users include the EPA, military base operations, and private firms remediating contaminated ground. Each of our long client relationships has been built on good communication. You can call us at any point in the life of your project to talk directly to our application engineers. We understand that remediation requirements can change and equipment ages. 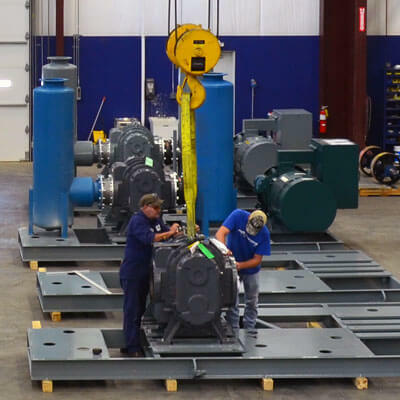 We can re-task or retrofit your existing equipment to keep it functioning at the level your project needs. 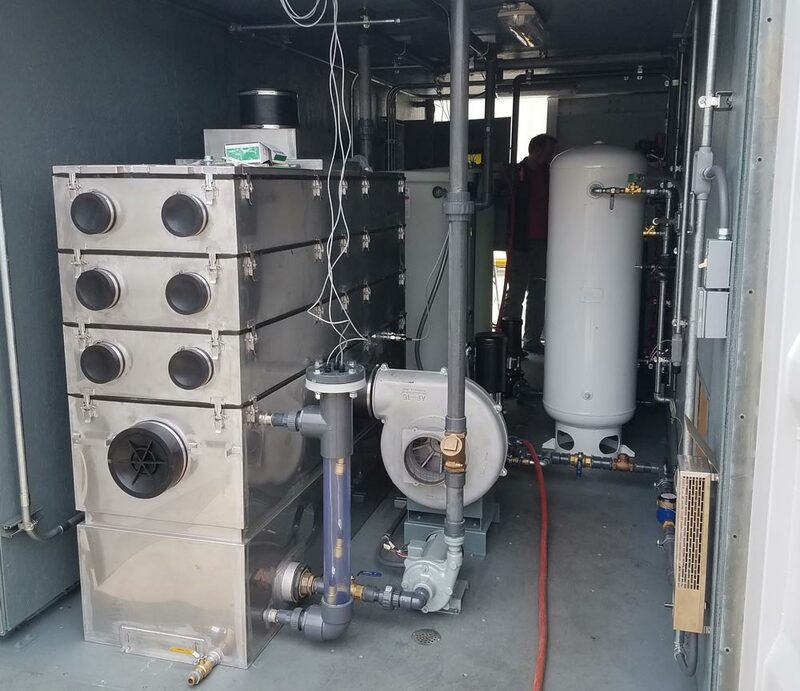 You can read more about how we developed our air/water separators and our experience with thermal oxidizers—both potential components for soil remediation systems. Or learn about our Retrofits & Repurposing service. We’ll be happy to answer any question about our systems and talk about yours. Contact us to speak directly with an application engineer.